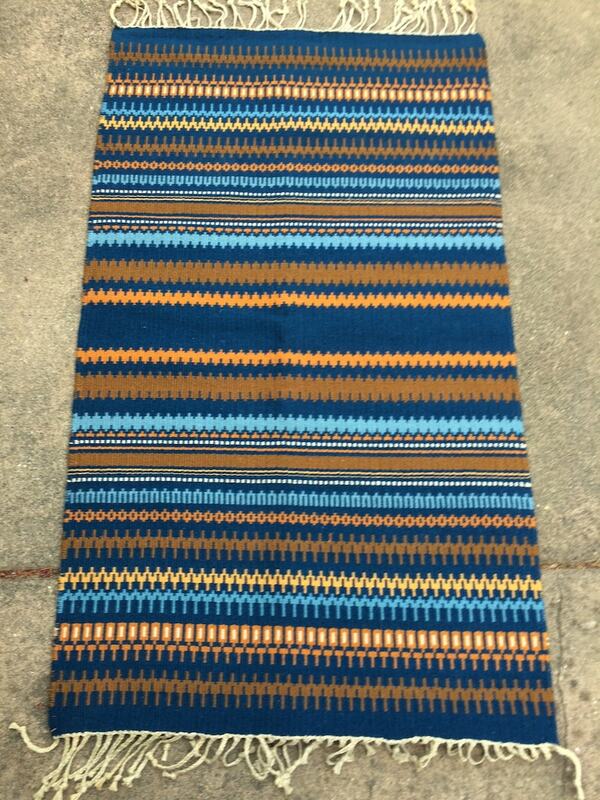 Handwoven Rug, 100% Hand Dyed Wool, In Blues and Oranges/Rust. The Ends are braided. I dye the wool using only natural dyes. 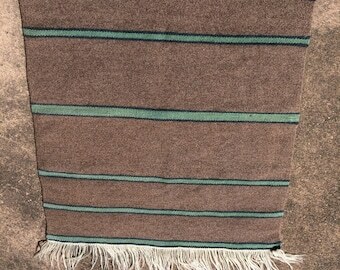 I've also put a strip of cloth on the back of this one so you can mount it as a wall hanging if you prefer. 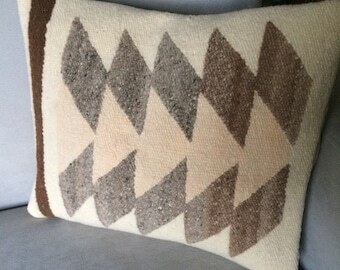 It would be stunning as a rug or a wall hanging. Will last a life time. Color fast. Dry clean.